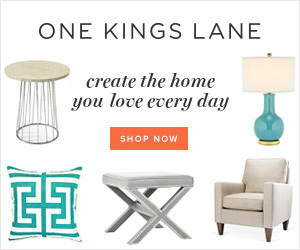 I love outdoor living and believe in making the best of your outdoor spaces. Editor, Derek B. Lotts of Smooth Decorator shares his tips on how to create the perfect backyard below. Who does not dream of having a secluded place in his or her backyard, a private corner where they can rest from the troubles of the world and prepare themselves for new challenges that await? 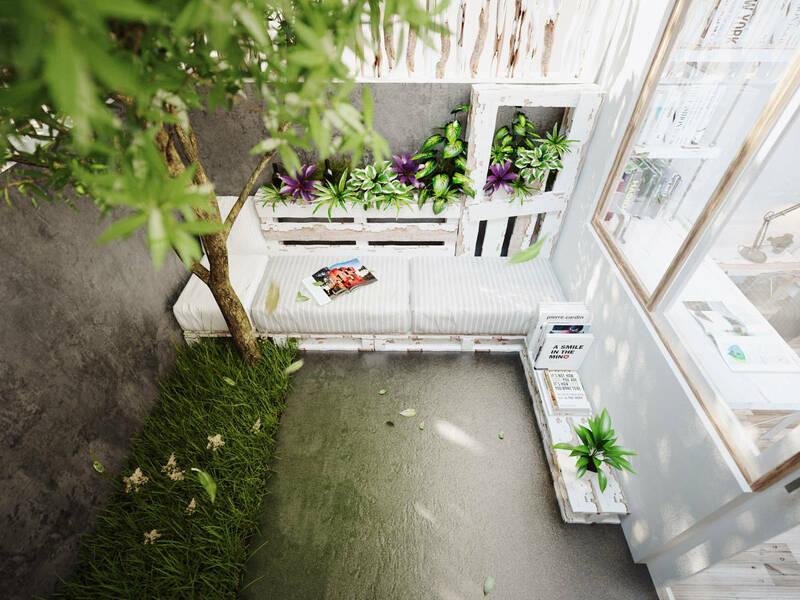 If you are blessed with having a backyard that is roomy and private enough to create a nook in it, do not wait a second to start turning it into a great hang-out one. Here are several suggestions on how to do the job perfectly. See more about this property on Blue Sky Luxury. Relaxing in a pool after a long day at the office is in top 10 rejuvenating activities there are. Do not be immediately turned off by installation issues. 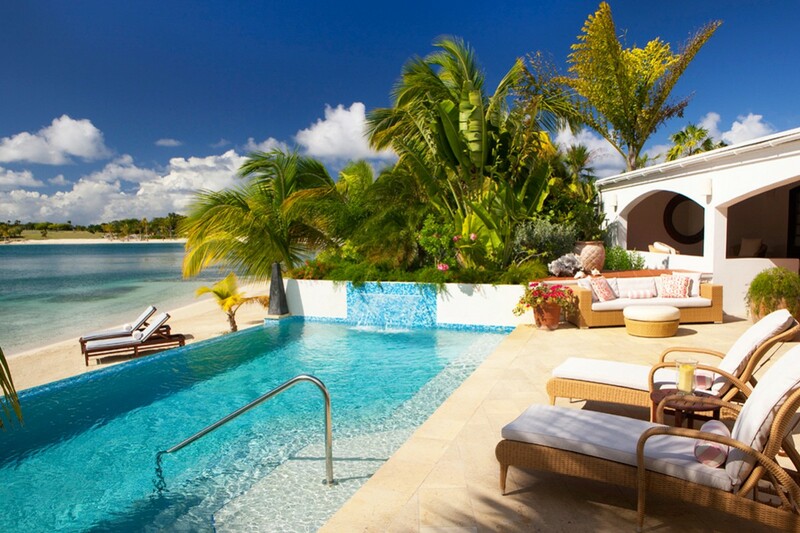 Your pool does not have to be anything of large proportions. Nowadays, you can find practically any shape, size and depth and a lot of them are highly customizable. If you want to go all the way and add the tropical touch, landscaping is the key. Add palm trees, banana plants, and birds of paradise. If your space does not allow you to do landscaping due to concrete surroundings, use tree pots. Remember that there are different types of pool finishes. Polished colored quartz is the best if you want to achieve tropical aqua blue color. 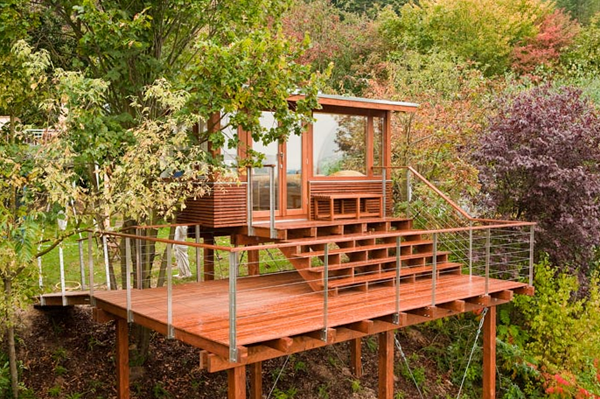 There probably is not a child in the world that does not like tree houses. Bring that child hidden within you back to the surface and build yourself a tree house to hang out in. Rise above all the problems, literally and metaphorically with just a couple of hours spent secluded in your wooden creation. Sleepovers are welcomed, as well. Nothing beats having a fireplace in your backyard that enables you to spend even those chilly autumn and cold winter nights outside. However, if your climate is not suited for them, you don't want to go overboard with it. Instead, incorporate a fire burner. 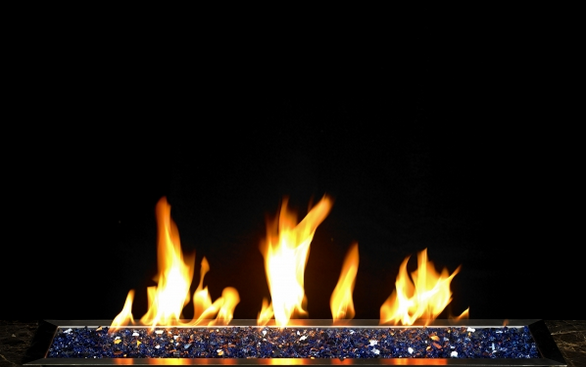 For instance, Blazing Glass’ burner kits are perfectly suited for any nook, you can set it to minimum and allow the flame to add elegance and romance to your outdoor relaxation during nightime. Also, try roasting marshmallows with your friends or beloved. When was the last time you manage to read something other than business oriented editions or yellow pages? There are just a few ways of letting your mind drift away from daily issues completely, one of them surely being book reading. All you really need is a small table to put your favorite drink on it, candles or auxiliary light if you plan to read in the evenings and a comfortable chair. Having all of that, you are ready to sail into the fantastic world of literature. This is another great activity to get away from the world that surrounds you. Plus, it is both a wonderful romantic occasion, as well as a great gathering venue for friends and family, all depending on the movie you choose and the mood you are in. A laptop, a foldable screen of suitable size, a projector, a set of speakers and your favorite movie is all you need on the technical side. The equipment is easy to set up and use. 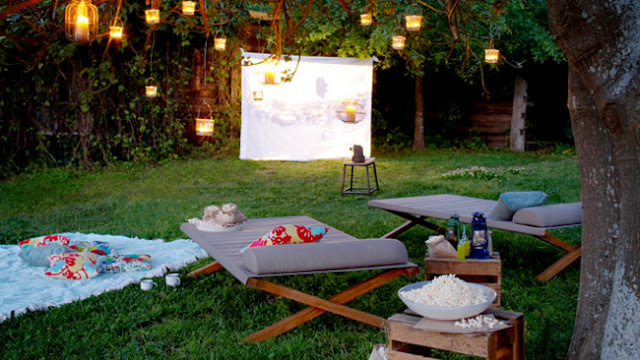 All you need more for a complete enjoyment are blankets or sunbeds, popcorn and drinks. As you can see, there are numerous ways of creating a perfect spot in your backyard, all depending on your preferences. After all, it is you that matters here, so use the opportunity and indulge yourself, every hour you manage to spend in your nook will be rejuvenating and refreshing without a doubt. See more from Derek Lotts on the Smooth Decorator or follow him on Twitter.